Appearance: mixed leaf colors from russets, to greens to silver. Consistent, well-shaped, whole leaf. This tea was harvested at the earliest point of the plucking season in Darjeeling and it is a special, limited production early spring tea. They are also sold in specific, small lots, in this case EX-9, which is often sold to the same tea specialists every year. These teas challenge the tea makers to use all their senses and expertise to bring out the best of these micro-lot teas before the busy crush of the main spring harvest begins. This early-harvest pluck is quite voluminous so it needs a generous measure if determined by volume measure rather than by weight. The 1 Tablespoon in our measurement will yield approx. 2.5 grams of leaf by weight. 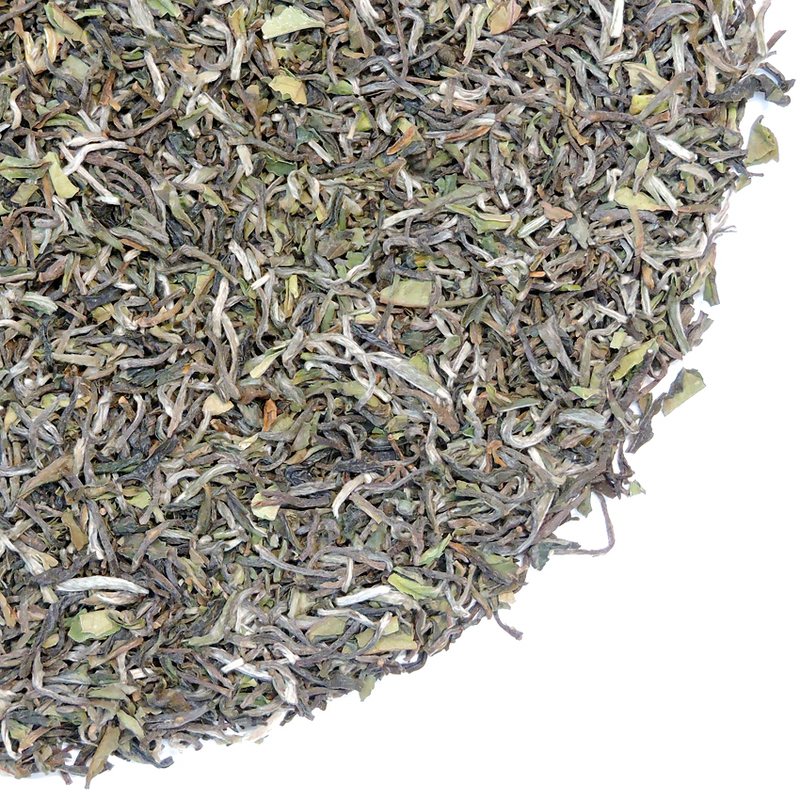 Our goal this year was to procure 1st Flush Darjeelings with a softer, less astringent flavor profile. A little less of the biting ‘green’ taste while maintaining the true, crisp presence of distinctive Darjeeling flavor was what we had in mind. We think our Darjeeling choices for 2016 reflect this style very nicely. Mary Lou and Bob selected Tea Trekker’s 1st Flush and 2nd Flush Darjeelings for 2016 a little late this year due to the weather-delayed harvest, and those deliveries arrived by air courier during the peak of the harvest. 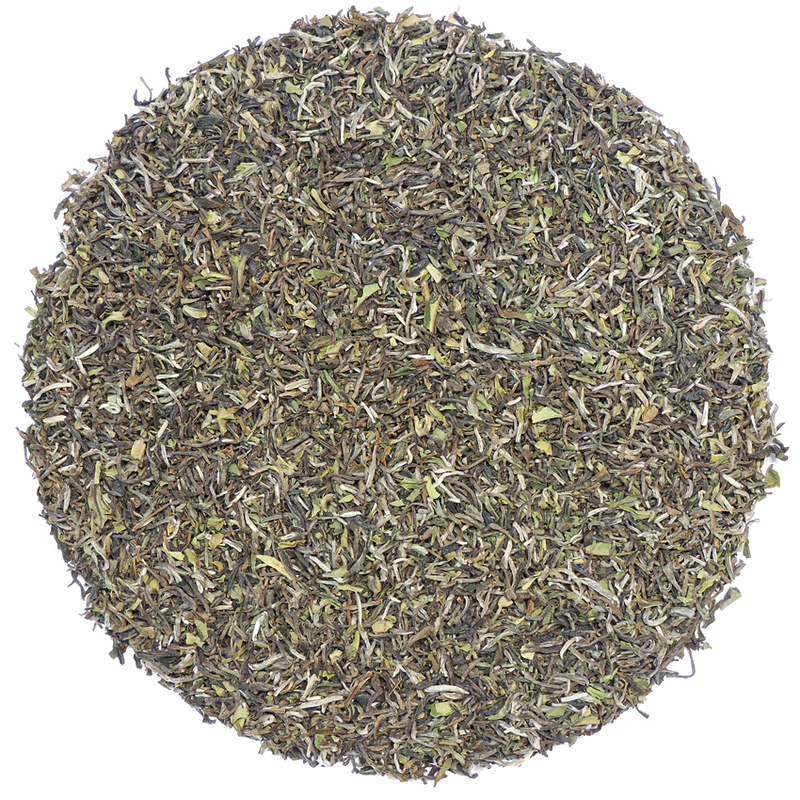 Tea Trekker has sold out of most our Darjeeling selections for the 2016 season at this time. We do have a supply of our two excellent Selim Hill 1st Flush manufactures and some of our 1st Flush special harvest tea from Glenburn Estate. 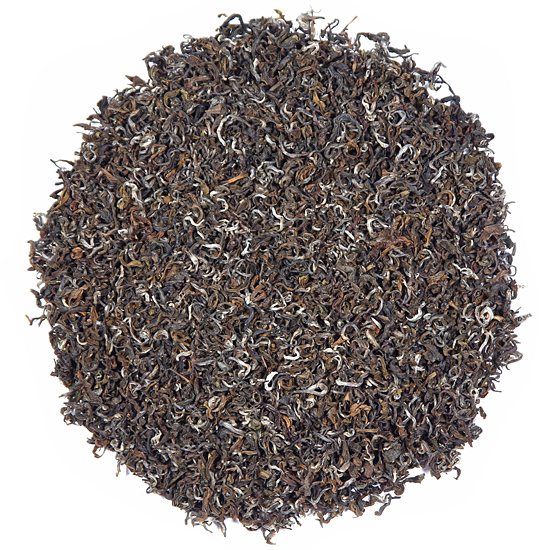 All of the 2nd Flush Darjeelings for 2016 are sold out. We do not expect to receive any 2016 Autumnal Pluck teas due to the general lack of quality this year, and we will likely wait until the 2017 harvest to procure more Darjeeling of any type, as the recent harvest is not expected to ‘hold’ very well. If you are looking for a clean, elegant Himalaya black tea to substitute for 2nd Flush Darjeeling, we recommend our Sikkim or the Nepal High Himalaya. This 2019 Glenburn Tea Estate 1st Flush Darjeeling tea was plucked a bit early this year, in mid-March. So this year it is chronologically an early-season specialty tea; however the weather has been warming quickly and early in many of the premier tea-growing regions of Asia, so ‘season-wise’ it is right on the normal historic schedule for a Darjeeling Garden with a south-facing orientation. Due to its limited production the leaf is plucked by the ‘first string’ tea workers, who have been busy this year carefully harvesting the premium crop of leaf that will be the basis of the season’s (therefore the year’s) economy for the estate. We are happy to report that we are able to hold the price on our Glenburn 1st Flush Darjeeling tea this year to be the same as the 2018 harvest. This is very exciting! The aroma is slightly flowery, but mostly brisk, with hints of fresh hay and herbs. Its flavor is forthright but sweet, not subtle on the palate, but not astringent either. It is in many ways the quintessential 1st Flush Darjeeling: flavorful and deeply full-bodied, with the penetrating flavor for which 1st Flush Darjeelings are famous, balances with the clean, brisk style that marks a 1st Flush manufacture. It is truly delicious! Our 2019 Glenburn Tea Estate 1st Flush Darjeeling selection is from a section of the tea garden that still maintains old China tea bush varietals. The yield from this section is low but the tea has excellent flavor. The weather conditions bring out the best flavor from these tea bushes in the spring. Glenburn Tea Estate is small – the total acreage of the estate is about 1,800 acres, of which only 704 acres is cultivated for tea. Nevertheless, the estate produces on average 125,000 kilo of tea a year during the 4-seasons of production. Forest reserves, rivers and cool Himalaya air contribute to the unique taste of Glenburn Darjeeling. The Glenburn Tea Estate is located in the Glenburn Valley at an altitude of approximately 3,200 feet. The tea garden is about 3 hours from the Bagdogra airport. The journey to the estate follows the course of the River Teesta ( take a left at the bridge or you will arrive in Sikkim) before the climb up towards Darjeeling, and then the drive down into the Glenburn valley.